Have you been wondering how to become a Google street view photographer or how you get your name on the street view for hire list. The process is FREE and straightforward, I thought I would share it with you. 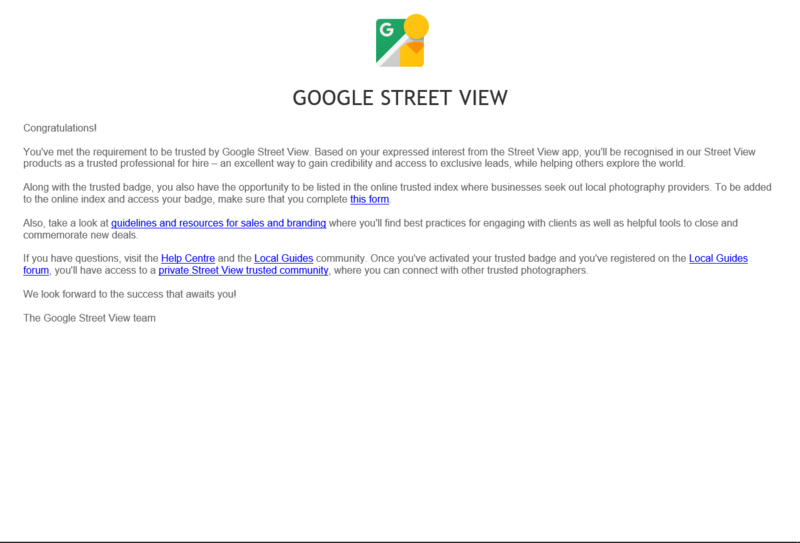 First of all you need to download the Google street view app. Once you’ve reached fifty published 360 photos, you will then receive a special invitation via email to be marketed as a trusted pro and able to join Local Guides. To be included on the Google for hire list, you have to fill out the form that is linked in the email, you can find it here. If you want the email to come through again simply just go back in to the street view app settings and toggle for hire on/off, this should trigger the app to resend you the email. 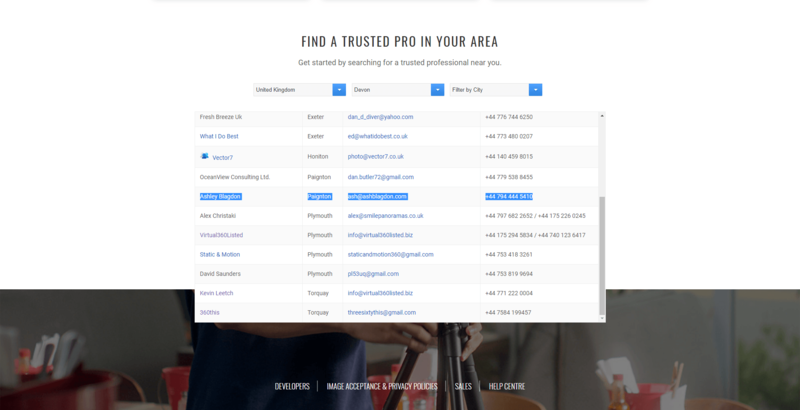 It usually takes at least a couple weeks for them to add you to the list and If ever you need to change any of your details in the future then simply fill out another form. What’s the Best 360 Camera for Google Street View Photography?